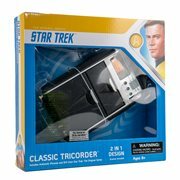 Beam Up Your Favorite Star Trek Collectibles Today! aired the month before men first walked on the moon. But the years since have seen one animated and five live-action spin-off series, 13 feature films, and a galaxy’s worth of video games, novels, and memorabilia, all driving the adventure of going “where no has gone before” forward at maximum warp! The Starship Enterprise (NCC-1701) began her TV voyages to “strange new worlds” more than 50 years ago. The original Star Trek series ran for only three seasons; its last episode aired the month before men first walked on the moon. But the years since have seen one animated and five live-action spin-off series, 13 feature films, and a galaxy’s worth of video games, novels, and memorabilia, all driving the adventure of going “where no has gone before” forward at maximum warp! Star Trek: The Original Series Pin Mate Wood Enterprise Bridge Set w/Kirk, Spock, Nurse Chapel-Entertainment Earth Excl. Star Trek creator Gene Roddenberry pitched his series to skeptical 1960s network execs as “Wagon Train to the stars.” But for all its exotic alien planets and fascinating new life forms, for all its near-miraculous future tech (some of which anticipated real-world breakthroughs by decades) and sleek spacefaring vessels (all of which remain, unfortunately, out of reach, except as toys and model kits), Star Trek has always really been about exploring the most mysterious and compelling frontier of all: the meaning and potential of humanity. Lay in a course for Entertainment Earth whenever you want to beam up figures, die-cast vehicles, apparel, or other accessories to celebrate the human adventure that is just beginning! Our collection of replicas includes tricorders and phasers, Starfleet uniforms and communicators, and model spaceships from both the United Federation of Planets and the new civilizations it encounters - almost anything you could want to help you feel like you’re living in Star Trek’s bright future, and to show your dedication to making these days “days worth living for,” too! 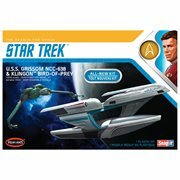 Fill Your Cargo Bays With Cool Star Trek Items! Keep a tribble on your key ring. Use a phaser to turn your home theater system off (without vaporizing it). Adorn your next con lanyard or your jacket lapel with pins featuring heroes like the original series’ cranky but compassionate Dr. McCoy (you can imagine him complaining, “I’m a doctor, not a decoration!”)... the animated series’ cat-like Caitian communications officer Lt. M’Ress… brave Captain Kathryn Janeway, determined to shepherd the Starship Voyager home from the far-off Delta Quadrant. Snap together a Mega Bloks Klingon Battlecruiser for the glory of the Empire - Qapla’! 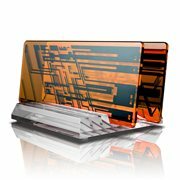 Whether you’re looking for practical ways to inject futuristic fun into your everyday routine or Star Trek toys to play with when you’re off-duty, Entertainment Earth has more than enough merchandise to fill Space Station K-7’s storage compartments. Starfleet’s Finest and The Galaxy’s Most Wanted! Few science fiction franchises have introduced as many iconic characters into pop culture as Star Trek has. You can celebrate its half-century (and counting) of memorable heroes and villains with a wide range of action figures, statues, and even wooden Pin Mates and Tiki Tiki Totems. Will William Shatner always be “your” Captain Kirk? Do you prefer Chris Pine’s take on the role in the recent reboot movies? 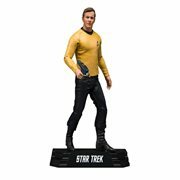 Fans of one or both will find figures here honoring Starfleet’s most famous commanders. Or you can recruit all of Star Trek’s iconic COs—Kirk, Picard, Janeway, Benjamin Sisko and Jonathan Archer—to keep watch over your computer as Monitor Mate bobbleheads! 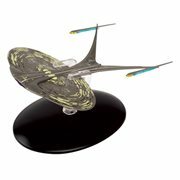 And commemorate these “boldly going” adventurers’ epic showdowns with some of space’s biggest threats to peace—the patiently plotting Romulans, the aggressive reptilian and insectoid species of the Xindi, the energy web-spinning Tholians, the temporal cold war-waging Suliban, even the barbaric Terran Empire from the dark and distorted “mirror universe”—with highly detailed, die-cast vehicles for your desk or display shelves. Fans in the 1970s proudly proclaimed, “Star Trek Lives!” Today, it lives more than ever. And the toys, collectibles and accessories you’ll find at Entertainment Earth suggest this famous and influential science fiction saga will continue to live long and prosper!